Join us for a memorable week in Costa Rica with guest instructor, Felicia Tomasko. Experience the rejuvenating benefits of Yin Yoga, learn the principles of Ayurveda for healthy aging, and fully relax with daily guided meditation sessions. *ALL-INCLUSIVE EARLY BIRD PRICE: $2,170 (only $310 per day, if you register by March 31). Regular price: $2,290. Single-occupancy is available for an additional $500.00. *Airfare is not included. The airport code is LIR - Liberia International Airport. We hope you will join us for a meaningful, unforgettable yoga retreat experience! Something magical happens when a group of people leave their everyday lives, travel to a serene location, and connect through yoga and wellness. Additionally, during your free time in the afternoons, you can arrange tours for snorkeling, diving, surfing, or sailing along the coast. There are also great options for waterfall hikes, horseback riding on the beach, and zip-lining through the inland forests. Or, you can pamper yourself at the spa or beach. To reserve your space for this retreat, simply pay a 25% deposit below. Felicia Marie Tomasko RN, E-RYT 500, inspires people to follow the path to personal freedom and vibrant health through the practice of Yoga and Ayurveda. She teaches a heartfelt exploration of shakti, sacred energy, through asana, pranayama, concentration and relaxation and maintains a private practice in the healing tradition of Ayurveda. Ayurveda shares the same philosophy and ways of approaching the body, mind and spirit as Yoga and emphasizes our relationship to our body, breath, spirit and to nature within and around us. Felicia integrates more than twenty years of study of the ancient approaches of Yoga and Ayurveda with her training and licensure as a registered nurse. 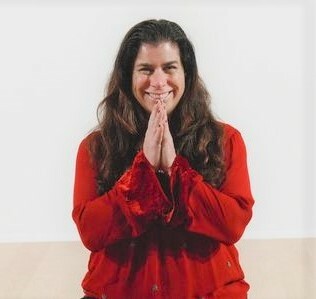 Felicia is the editor-in-chief of LA YOGA Ayurveda and Health magazine, and serves on the board of directors of the California Association of Ayurvedic Medicine and the National Ayurvedic Medical Association, on the advisory board of the Holistic Option and the Leadership Council of the Green Yoga Association. She teaches classes on YogaGlo.com and writes regularly on health and well-being for a number of books, newspapers, magazines and websites. Marcela Hughes loves to organize yoga retreats in beautiful and inspiring destinations around the world. She is delighted to host her 8th yoga retreat. Marcela worked in the corporate world for over 20 years, and then changed her career to become a yoga instructor in 2011. She had the pleasure of teaching Yoga for Teens, Gentle Yoga, Yin Yoga, and Restorative Yoga for several years. Marcela opened a beautiful yoga boutique in Old Town Alexandria, VA in 2015. After three years, she has transitioned her business online in order to have more time to care for her aging parents. Marcela is a certified Health Coach and Brain Longevity® Specialist with The Alzheimer’s Research and Prevention Foundation (ARPF). She offers private sessions in Old Town Alexandria. She hopes to inspire people to maintain a well-balanced and healthy lifestyle, and looks forward to leading meditation, mindfulness, and yoga nidra classes in Costa Rica. Please pay a 25% deposit to reserve your space for this retreat. No experience is necessary. Everyone is welcome!